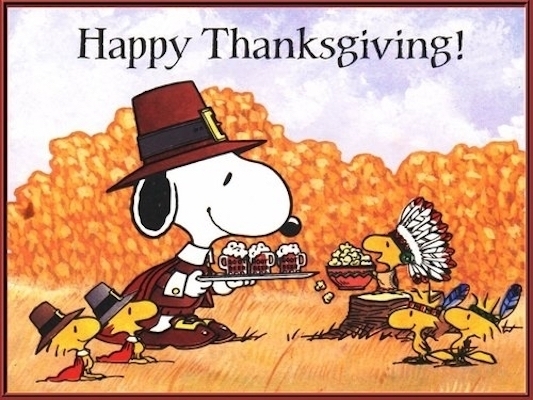 As our friends south of the border enjoy their holiday long weekend, many in the hockey world will be looking at American Thanksgiving in a different context. As the theory goes, teams in a playoff spot around this time have a very strong chance of making the playoffs while teams on the outside are statistically unlikely to climb their way back in. So just how accurate is this theory? And what does it mean for the Calgary Flames? First brought forward by Detroit Red Wings general manager Ken Holland a number of years ago, the American Thanksgiving Theory basically asserts how important a fast start to the season is and how detrimental a slow one can be. The Flames are not a playoff team right now and, as you can see below, are near the bottom of the Western Conference when it comes to how they’d project over 82 games. Now, projecting points over one quarter of an NHL season is a fool’s errand because there is so much that can happen in the final three quarters of the season. However, above paints a fairly bleak picture of the path Calgary is on right now. As the theory would indicate, the Flames have themselves an uphill climb if they want to be a playoff team in the spring. Let’s delve into how much empirical backing there is to this theory, though. Since the NHL instituted the shootout and the loser point to start the 2005-06 season, roughly 23% of teams on the outside looking in at American Thanksgiving end up making the playoffs. But what I find far more interesting is what we’ve seen in recent history. The league changed playoff format and divisional alignment to start the 2013-14 season, so I think looking at the last three years is a good way to go about things. Below is a look at the teams who were in the playoffs come American Thanksgiving in each of the last three seasons and whether or not they ended up there come the end of the season. 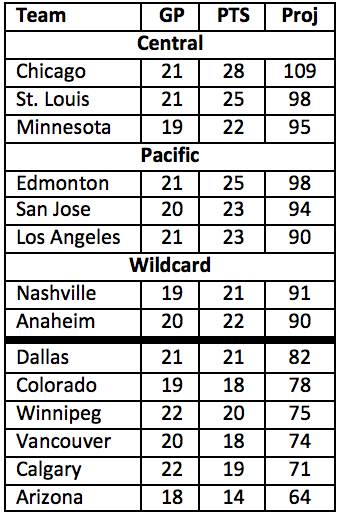 As you can see, this has turned into a fairly accurate predictor, specifically in the Western Conference. So, let’s start crunching some numbers here. Over the last three years, teams in playoff spots at American Thanksgiving have qualified for the postseason 79.2% of the time. On the flip side, non-playoff teams have climbed back in 20.8% of the time. Those numbers are league-wide though; the figures in the west are a little more daunting. If you’re a Western Conference team over the last three years, being in a playoff spot in late November saw you qualify for real 87.5% of the time. Conversely, that means teams have only got themselves back into the mix 12.5% of the time in the last three seasons. So how does this apply to the Flames? Well, knowing how tough it’s been to knock off one of the top eight teams over the last three years, they’re not in a great spot through 22 games. For instance, last year saw Anaheim make their way in, but they needed a torrid run in the second half to do it while Minnesota had to go down the same road in 2014-15. Calgary has been on both sides of the equation in recent years. They protected a spot for much of the 2014-15 season and ended up being a playoff team in the end. A year later, though, they were on the outside looking in come late November and even a record-setting month of December couldn’t get them all the way back in. 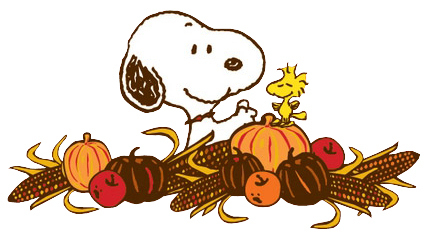 The American Thanksgiving Theory has never been presented as scientific fact. After all, it’s hard to take this cutoff date as gospel when the holiday falls on a different date every year. However, there’s no doubting recent history would suggest the Flames have a very difficult task ahead of them to get back in the playoffs. It’s also not impossible, though, as teams like the Wild and Ducks have shown over the last couple of years. Current Flames forward Troy Brouwer had a memorable quote a few years ago when he was still with Washington. “It’s too early to talk about the playoffs,” he said. “It’s November.” For us outside of the locker room, though, this tends to be a very popular time to talk about the playoffs. I think Calgary is a slightly better team than their record would suggest. They’ve shown progression in certain areas, specifically on the possession side, while also holding down one of the lowest PDOs in the league. As such, I could see a decent uptick in positive results for the Flames in the final 60 games of the season. The problem is, they’ve dug themselves a hole through the first quarter of the season. With so many other competitive teams in the Western Conference, digging out of that hole for good looks like a daunting task. 4. TJ Brodie playing the worst hockey of his NHL career. In my opinion – those 4 guys are the most important Flames and I believe all will be better in the long run. Since, despite these key players not contributing and the Flames were still .500 over the last 16 ( roughly a month) I think brighter days are ahead. If we can break down the remaining season in to 4 more such sections – 3 of 16 games and one of 12 at the end, they will need to be over .500 in each. Two 16 games stretches of 9-7, one at 10-6 would give the Flames 75 points with 12 games to go – and a closing 8-4 gets you to 91 points. So – for example – the next 16 take us to Dec 29. 10 of those 16 games are against teams not currently occupying playoff spots. 4 non playoff eastern teams coming up, then games against Colorado, Vancouver, Winnipeg and Dallas plus 2 against Arizona in December. This is a winnable stretch. If the Flames are further from a playoff spot by New years eve and their 3rd Arizona match in December, THEN the season might be done. Why are the best players struggling? Did they all forget how to play hockey? I know that people hang their hat on hope but this coaching staff will not win with this group. Either group has to change or the coaches. If we are realistic about it, we’ll look and see that we have the very last place in the league goal differential. Does that not mean anything? If you were just now picking up watching NHL and you saw bottom five in the NHL would you be thinking playoffs? The odds are not zero so that’s why they play the games but holy smokes talk about wishful thinking. Sadly I don’t think 91 is going to do it. Gonna need to be better than 95. The real problem is not getting the points, but rather who they have to pass. To get in they have to jump ahead of 2 of: Anaheim, LA, SJ and Edmonton. While I think Edmonton is out, right now I don’t think the Flames can catch them. ‘What’s that? Ah — Playoffs? Don’t talk about — playoffs? You kidding me? Playoffs? I just hope we can win a game! Another game.’ – Jim Mora. This team will probably still be outside the playoffs when Johnny Gaudreau returns. The rest of this season will be the Flames core players still learning Glen Gulutzan’s system since I assume he won’t be fired. i’ll still keep watching because maybe they’ll string together in enough wins in December and January to flirt with being a playoff team. But at the trade deadline in 2017 I figure this team will be sellers rather than buyers. This weekend is a little too early to call it I think. If the Flames can get one or two more wins out of the next three on this roadie then they will be at home for seven of the next 11 before Christmas break. Out of the four on the road in December, three are against Arizona and Dallas. Flames have been traditionally very good at home at this point of the season. I think the tale will be told by Christmas Eve. If they are in a playoff spot then, they’ll challenge all the way to the end! What are the numbers when you are not only out of the playoffs but one of the lower teams in this situation ie how many teams with 19 points after 22 games make the playoffs. My guess 5%. Looks way more like get ready for maximize your assets at the trade deadline and entry draft then plan for next year. The alternate way of looking at it is: one or two teams make the jump 100% of the time. The takeaway here is that the Shelbyville McLotteries are projecting to be in. That is a tragedy. We already know the Flames are not making it. We don’t need Thanksgiving for that. Style of play tells us that. I don’t know if part of the sting is the fact that the Oilers are doing so well, but them doing well isn’t a feasible reason for us not doing well. While I openly criticized the signing of Lucic — you can’t argue the fact that, right now, he’s playing well. In a couple years, who knows. But now is the their time. Or at least the window for them is open/closing. For us it’s a different story. Yeah, we got lucky a couple years ago and made the playoffs. At least we did that. But until we get rid of our anchor contracts at the end of the year, there’s no way we’re icing the best possible team we can. We haven’t even had a chance to. Once this season is over, whatever the results may be, once we shed the salary and have all this cash to spend and cap room, then we can really, finally “go for it” and spend money on an actual NHL ice hockey player, maybe someone who even plays on the first line. And that’s not a knock against Brouwer, just the fact that the Flames have handicapped themselves into this situation and have to let it play out. Next season our window finally opens, and we can start setting expectations of playoffs. Actually, the one move I did like was Brouwer. Of all the big FA signings in the league, he had one of the shortest terms. We keep looking at the Stajan contract right? Still another year after this and that is the definition of an unmovable contract. Of coarse Wideman also gets a look as well, and we will lose that one. But 10 of the 24 on the roster are under $1.0 million, and some of these are the guys we want around for a number of years. We might get out of the frying pan in 2 years, but the fire below is just getting fanned. And what about 4 years out when Gio is long in the tooth and 1 or 2 of the big time big term contracts just signed isn’t working out either. This isn’t a cycle, its an annual ritual. The oil have a 9-3-1 record with Kris Russell in the lineup! He is the main reason they have improved so much..not lucic. The reason I don’t like Kris Russell’s game is because I watched him closely for 3 years. By the way, who would be more intersted in eying stats over watching the game. The only reason to examine stats is for the sake of learning what can’t be seen during a game. Stats are something to go by and understand but to base your whole opinion on a player is foolish. Just like the post about Mcdavids point production dropping with Russell playing is more important then the Oilers winning percentage with Russell on the Ice. Here’s a great Kris Russell factoid: McDavid’s on-ice Goals For drops by almost 2/3 when he plays with Russell vs without Russell. – Matt Henderson (Twitter) from Oilers Nation. I guess Russell’s still a Flame at heart. Russell has absolutely been a key but not the main reason. Good analysis Pat. You were right to assess since the divisional alignment. The comment by Kensington is also interesting. If you are near the bottom do you actually not try to move up but instead start the rebuild or go for the top draft pick earlier than others? What about teams that fell out of contention – were they playing above their heads in the first part of year and reverted to mean? Or injuries. OR the team that climbed back into the playoffs – were they underperforming first part of the year, perhaps had a coaching change or returns from injuries etc. Anaheim last year was supposed to be in the playoffs and eventually did get in, so logically NOT a surprise. SO the question is if Calgary got back into the playoffs this year – is that a “surprise”? Let’s assume 90 points is the playoff cut line. Last year was 87 but 90 seems reasonable. Flames have 19 points after 22 games. Assume another 6 loser points during the remaining 60 games. That means the flames would need 65 points out of the remaining 54 games (65 out of 108 points) to get to 90. That’s a winning percentage of 60%. They would need to go 6-4 the rest of the way (excluding games they lose in OT). And that is absolutely reasonable. I think IF Monahan, Bennett, Gaudreau, Brodie, Gio, and Hamilton ALL start playing like we know they can play, the Playoffs are still a possibility. A couple 3 of them will probably start to play better. Most or all of them is a big IF. Special teams has to be much better, and include Elliot in the IF picture. Given the Flames schedule so far, I would say it is too early to write them off. They need to “survive” until the end of November (be within 3-4 points of the playoffs). December is far easier. Then they need to win the games they should. The division is wide open and they still have a decent shot IMO. For now. It’ll most likely come down to a battle with the Oilers. Assuming the Cali teams all perform how they should. I’m surprised LA is hanging in there without Quick. Once he is back, they will be a lock if they stay near the top. We’re just past the quarter pole, so what is the early projection for Bennett’s extension at the end of the season? Is he worth 8 years and $8M a year or is he more like 8 years and $4.5M a year? Is he a candidate for the roll-the dice bridge deal? Forget Thanksgiving. This season had a fork in it by Game 3, and that’s being generous. And that pretty much comes down to one factor.